With thunderstorms and rain being the prevalent weather of Peapack-Gladstone in New Jersey, power outage is not a new encounter for the residents of Peapack-Gladstone. The solution to such unpredictable and frequent power outage is a power generator. Generators allow you to run your appliances even during a power outage. There are many factors taken into consideration while choosing a generator. A generator should fulfil your power requirement and should be fit for installation according to your space needs. The terms involved while picking a generator can be confusing for a layman. We at Bloomfield Cooling, Heating and Electrical help you choose and buy the right generator for your premise. All you have to do is book an appointment with us and we take care of the rest for you. Bloomfield Cooling, Heating and Electrical also performs the installation and maintenance of generators. We start with a survey of your premises to gauge the various aspects required to pick a generator aptly suitable for your needs. We then suggest the generators that fit your needs. This helps you buy the generator that also fits your budget. We bring to you the highest quality of generators from brands like Generac Power Systems. Installation of generator could lead to consequential losses if performed by a novice. Leave this tough task to the professionals of this field. 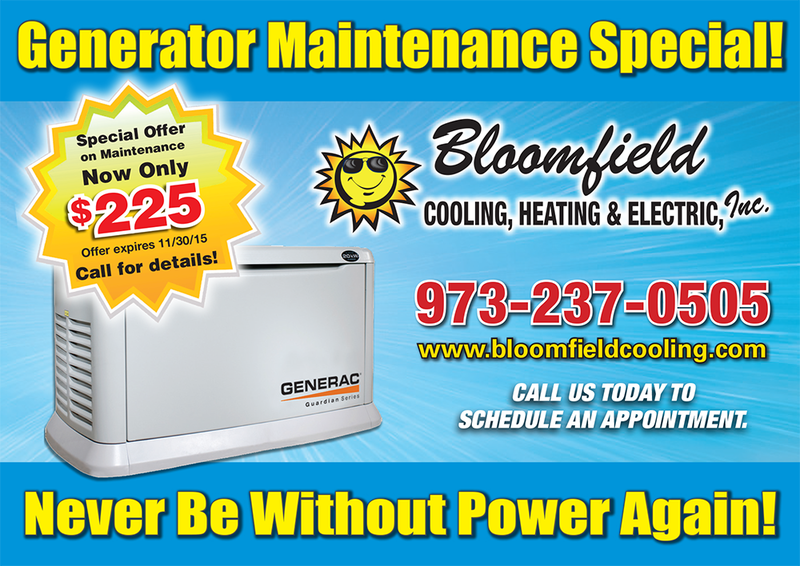 The Bloomfield crew helps you install your generator and make it ready-to-use. We also provide generator maintenance services to ensure that it works efficiently. Bloomfield Cooling, Heating and Electrical is a family owned and operated company serving the residents of Peapack-Gladstone in New Jersey since 1988. 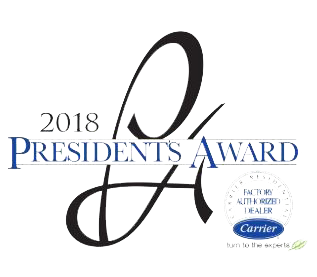 Along with the roster of happy and satisfied clients we possess awards like the Super Service Award from Angie’s List for the past ten years and the Best of Essex Readers’ Choice Contest in the category of best HVAC and electrical company. We employ certified and licensed electricians and specially train them for generator servicing. We follow safety rules and regulations stringently. We have a trust worthy and reliable crew who will ensure full support and assistance whenever required. We have a 24 hour on-call facility to ensure our availability. We provide our services at the most competitive prices in the industry. Our services are reasonably priced. We also offer a 12 month special financing with approved credit.